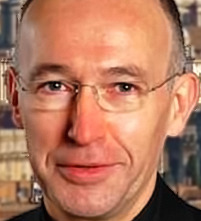 ARCHBISHOP KREBS: INCLUDE IN YOUR REPORT TO ROME. In 2011, Wadeson asked the Los Angeles archdiocese for authorization to minister once more in Los Angeles because he was traveling in California. The archdiocese refused and contacted archdiocese officials in Guam after learning he was working there, said archdiocese attorney Michael Hennigan. Amazingly, while Archbishop Apuron did nothing in 2011 about Fr. Wadeson, even vouching for him so that he could serve in another diocese, in the same year, 2011, Archbishop Apuron ordered Fr. Paul to fire an employee from Santa Barbara who Apuron said was a "danger to children." Archbishop Apuron is contacted in 2011 by the Los Angeles Archdiocese about one of his priests. The priest had been accused of molesting children and was listed on an official Los Angeles Archdiocesan report. Archbishop Apuron not only does nothing about this priest, he vouches for the alleged child molester to function as a priest in another bishop's diocese. At the same time, he demands that Fr. Paul Gofigan fire an employee from his parish who Archbishop Apuron says is a "danger to children" even though the man's crime was more than 30 years ago and had nothing to do with children. Two years later, the priest accused of molesting children is still functioning in both dioceses unhindered and unreported, and Fr. Paul is fired for showing kindness to the man whose employment he had terminated two years earlier at the Archbishop's order.